Price drop; now $240 $225. . . . 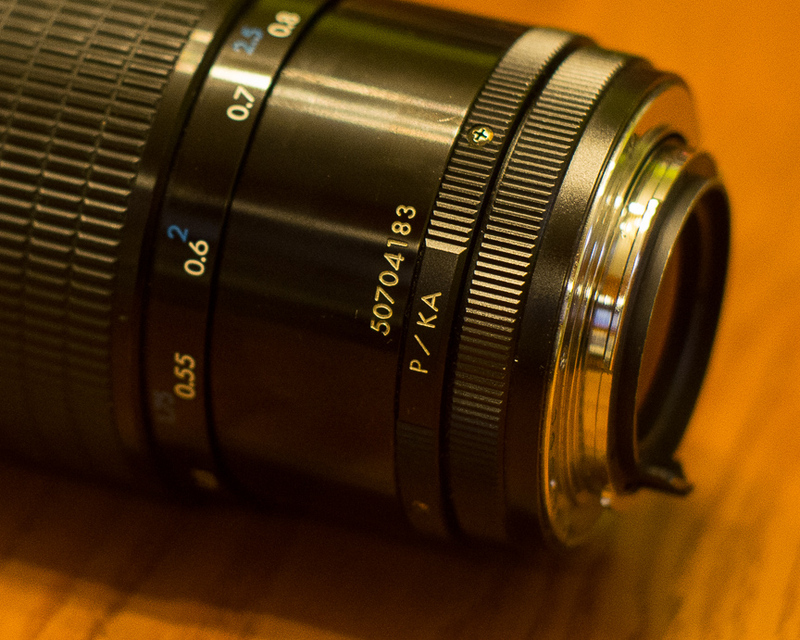 I just got a Pentax A 100/2.8 macro, so this Kiron really needs to go. I posted in the Marketplace back in December 2015 along with some other items, sold everything but the Kiron, and have recently reinstated the listing in hopes of moving the Kiron. It's also listed locally, so don't hesitate too long. . . .
Kiron 105/2.8 macro, P/KA (aka, the "Lester Dine" lens): This was one of the first lenses I bought for my K-7; I got it through the forum back in 2010. 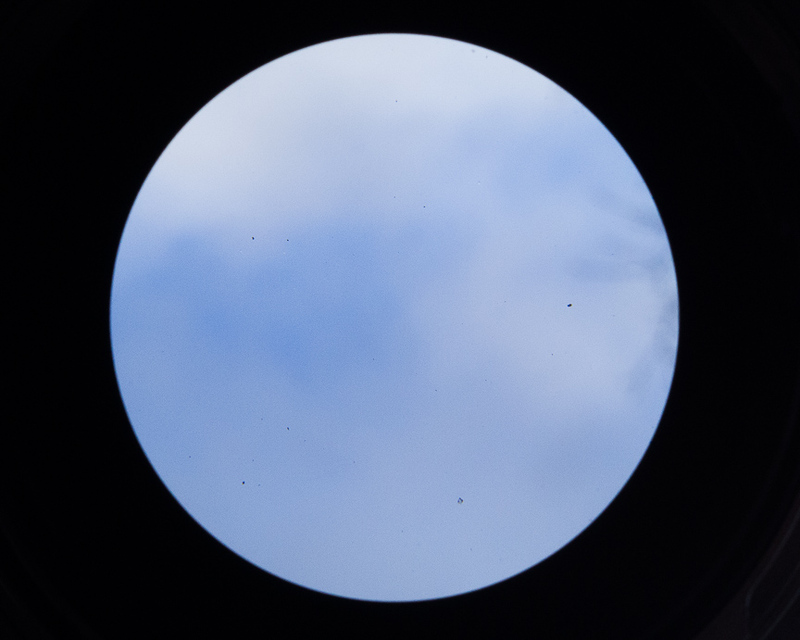 It's a sharp, gorgeous lens. 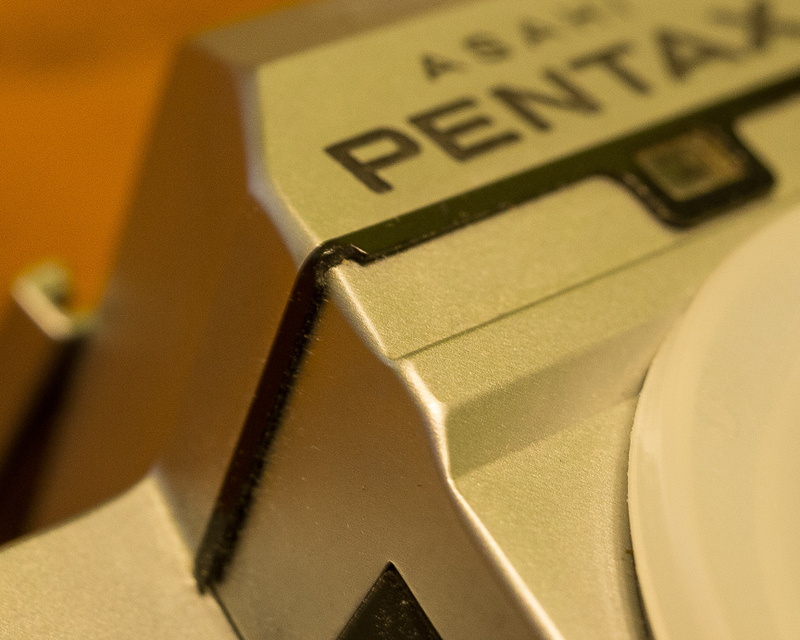 It's got a P/KA mount, which is harder to find than the plain K mount, so it carries all the benefits of an A-series lens on Pentax DSLRs--and it will work well with full-frame, too! 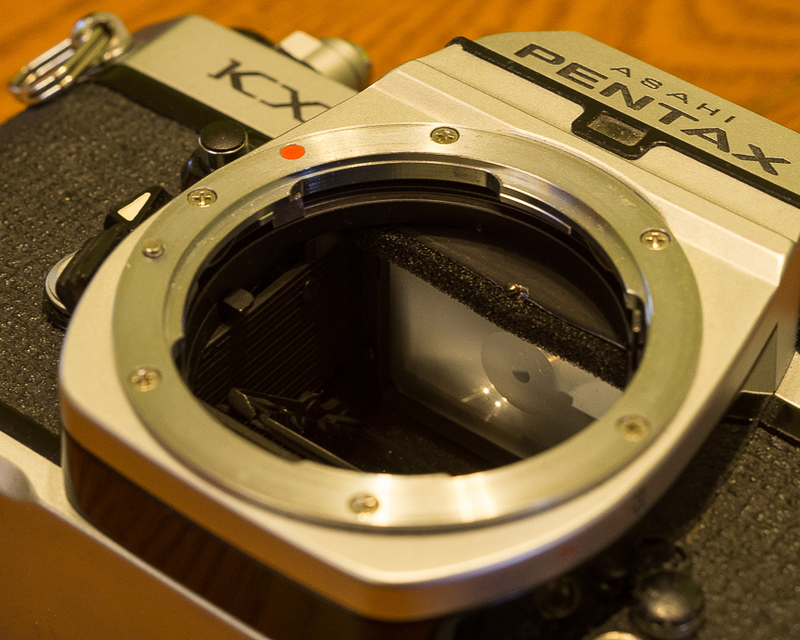 It's in excellent condition: the glass is great, the barrel's clean, and the aperture blades are snappy and oil-free. 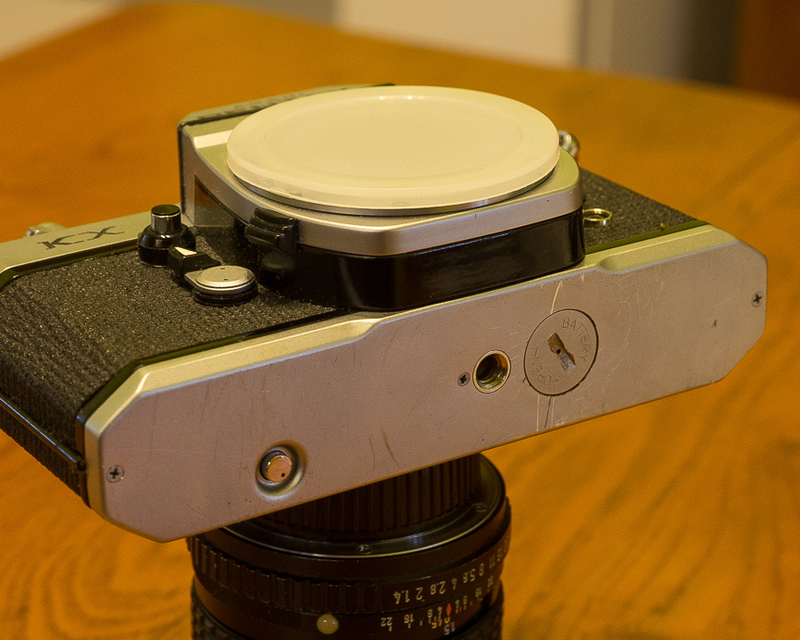 It's got a wonderfully solid feel to it, and the manual focusing and aperture rings move precisely and smoothly. 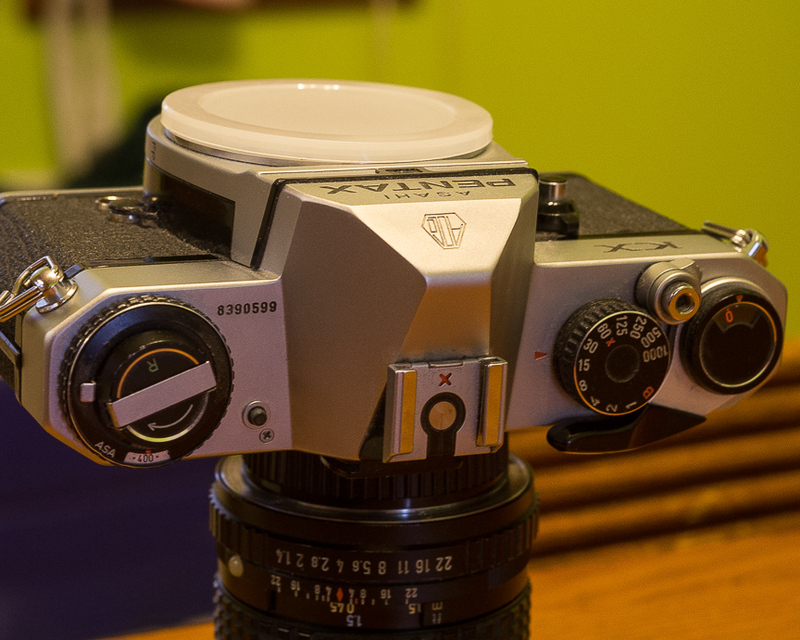 Most of the markings on the lens are excellent, but there are bits of missing ink lettering around the front of the lens, just inboard of the retractable lens shade. Comes with both caps (front cap's a Vivitar). The price of $270 $255 $240 $225 includes USPS Priority Mail in the contiguous US. Payment via PayPal (I'll handle the fees). I try to describe equipment as it is, but doesn't mean I'll have covered everything about the item. If you have any question about something I haven't mentioned, let me know. Returns accepted within three days of receipt if not as described; please PM first. Full refund (so long, of course, the lens is returned in the same condition as when it shipped); buyer pays for return shipping. If interested, please send me a private message. Anyway, below is the dust image. 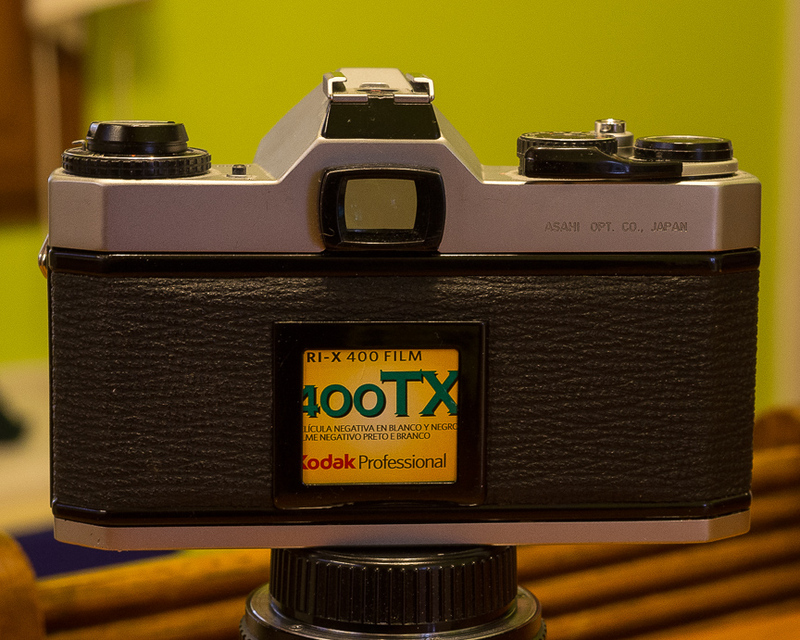 A 50/1.4 sale pending. . . . The A 50/1.4 is sold. . . .
bump for price reductions and package deal. . . .
bump for another round of price reductions (including the package deal). . . .
bump for price drops. . . . Here are some more images of the KX. Hope this helps folks get a sense of the condition of the body. . . .
KX update: sale pending. . . .
KX body sold and shipped. bump for price drop; now $340 for a PKA version, shipping included. . . . The Kiron's now $325, including shipping in the contiguous US. . . .
Bump for the Kiron: I have one just like it, and recommend it highly. 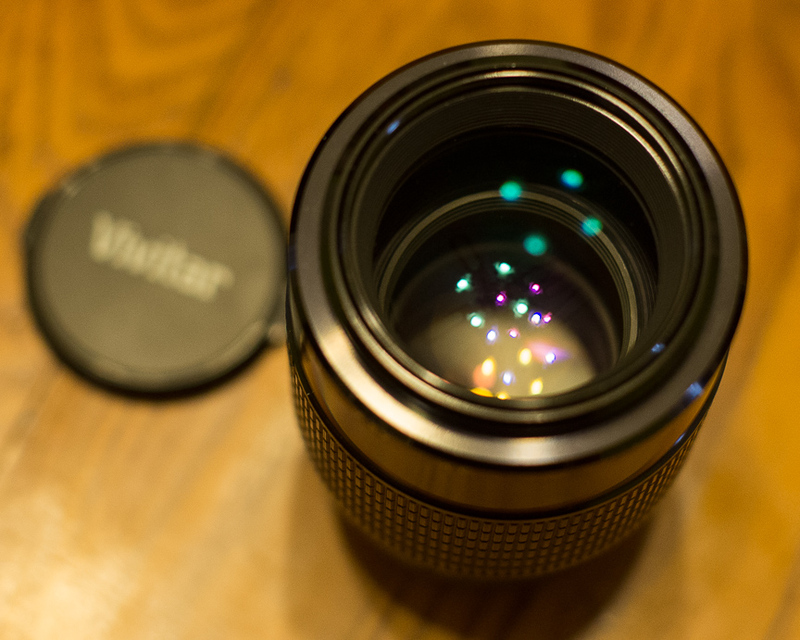 It's an excellent lens, optically a match for modern macro lenses, and with awesome build quality. Now I wonder if I should sell it at all. . . .
demondata's right, though: this lens looks great, feels great, and it's great optically, too. bump for the Kiron macro. . . . 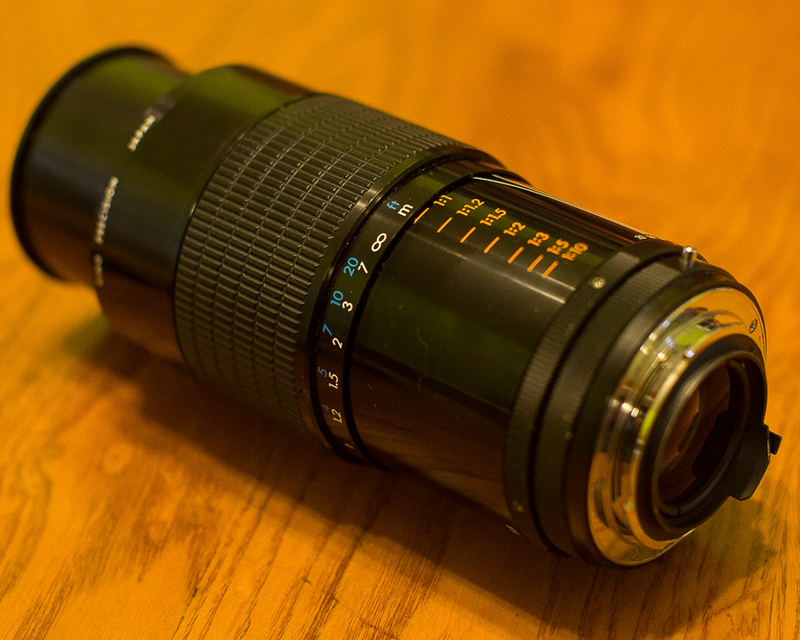 This legendary lens still needs a new home. . . .